Never let it be said that Newport Playgoers rest on their laurels. 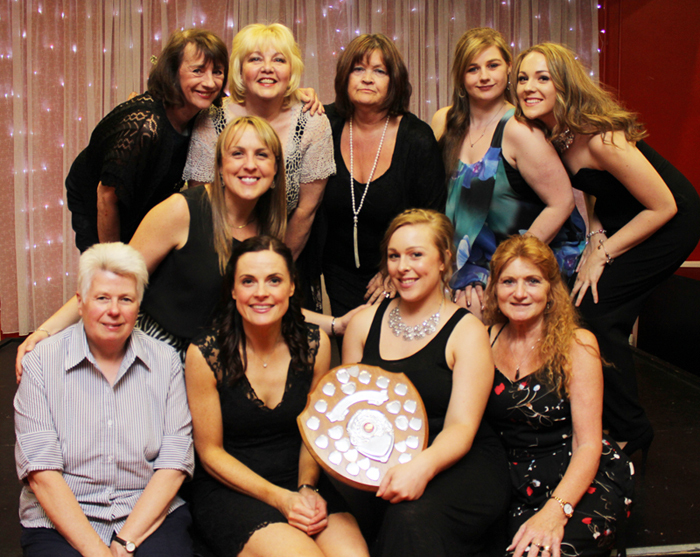 After a highly successful season that saw them win several awards, the local amateur dramatic society is preparing to unveil a new programme of plays. Rehearsals are already well under way for September’s offering, ‘Up Pompeii’, the stage version of the show that Frankie Howerd made such a hit on TV. Like Playgoers’ last venture to ancient Rome, ‘A Funny Thing Happened On The Way to the Forum’, this romp is packed with nubile slave girls and saucy double meanings that are sure to raise lots of belly laughs. In contrast, October’s play is Charles Dickens’ spooky classic ‘The Haunting’. It’s followed by ‘The Ladykillers’ based on the much-loved Ealing comedy about a gang of crooks in a boarding house and their clumsy attempts to murder their little old landlady. The new year brings ‘As You Like It’ which is considered by many to be one of Shakespeare’s greatest comedies with its heroine, Rosalind praised as one of his most inspiring characters. There’s plenty of black humour as well as drama in ‘The Anniversary’ in which a domineering mother keeps a tight hold on all three of her sons with gifts, threats and ruthless exploitation of their weaknesses – but as the family is brought together to celebrate Mum’s wedding anniversary (regardless of deceased Dad) revolt is in the air. Playgoers New Generation take to the stage in March with a play about the swashbuckling adventures of ‘Robin Hood’, and this is followed Ibsen’s classic story of repressed Scandinavian sexuality, ‘Ghosts’. On a lighter note, May sees the stage version of the 1960s film classic ‘The Graduate’ in which young Benjamin Braddock, who is worried about his future, is seduced by the infamous Mrs Robinson. The season ends with ‘Maurice’s Jubilee’, a play set in the royal celebrations of 1977. This play by award-winning actress and writer Nichola McAuliffe. is a funny and poignant exploration of one man’s enduring commitment to his dream of meeting the Queen – and an eternal love triangle fallen on hard times. It all adds up to a season of plays with something for everyone. 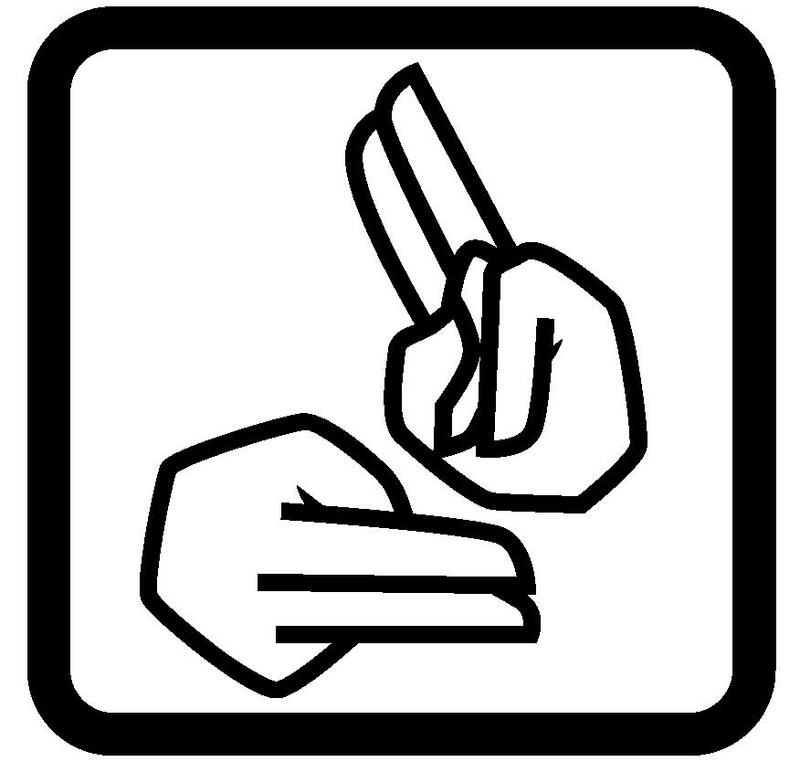 A new innovation will be the introduction of signing for the deaf on the Thursday evening performance of every play. Playgoers who own and run the city’s 400-seat Dolman Theatre are always looking for new members and have a special introductory offer of a first year’s membership for £70 for adults (a saving of £42.50) or £35 for students (a saving of £41.50). They are always looking for volunteers keen to help out with the staging of each production. This includes everything from doing front of house, box office or serving refreshments and sweets and programmes. Or maybe you have the urge to tread the boards or work backstage. Everyone is welcome – you’ll find it’s a great way to make new friends – and have fun! For more information or to book tickets call 01633 263670 or visit www.dolmantheatre.co.uk. 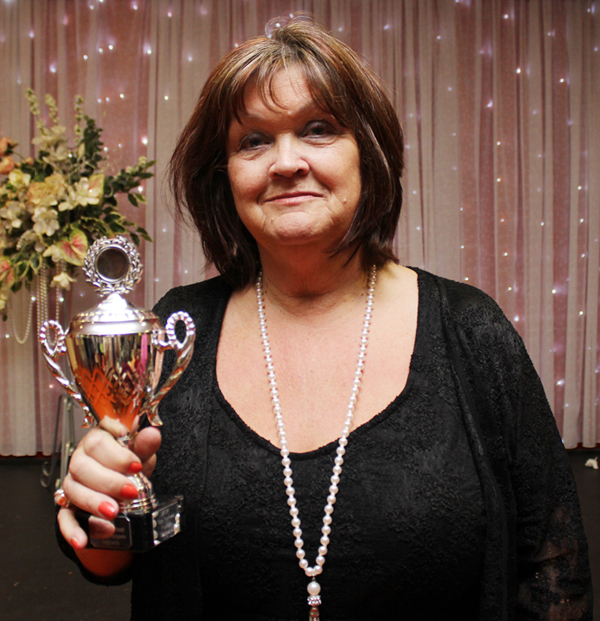 Newport Playgoers were among the winners at the 2015 Gwent Drama League Awards. The musical comedy ‘Nunsense’ won the award for Best Overall Production, with Claudia Barnes who played the Mother Superior taking the award for Best Comedy Moment for the routine where she accidentally gets high – with hilarious results. 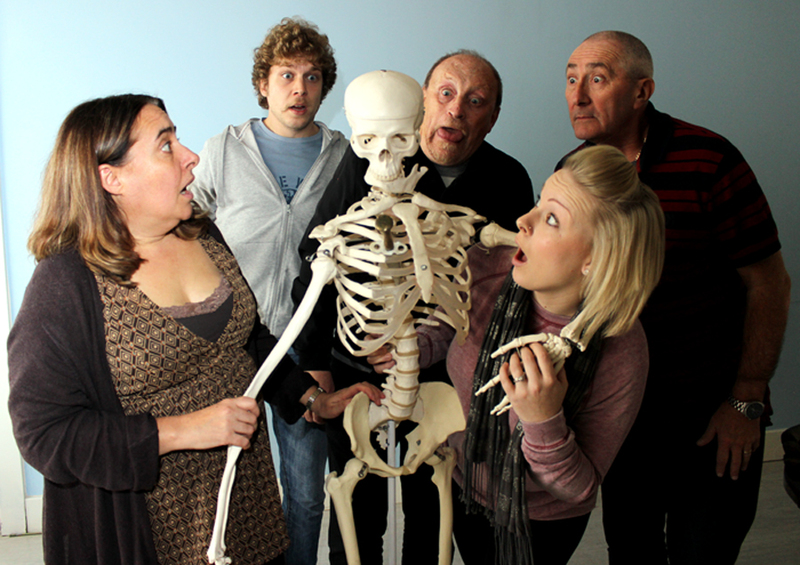 The award for Best Play went to ‘According to Claudia’ by local playwright Phil Mansell for his story of a family reunion in which skeletons galore come tumbling out of the closet. Several cast members were also nominated for Best Actor awards. 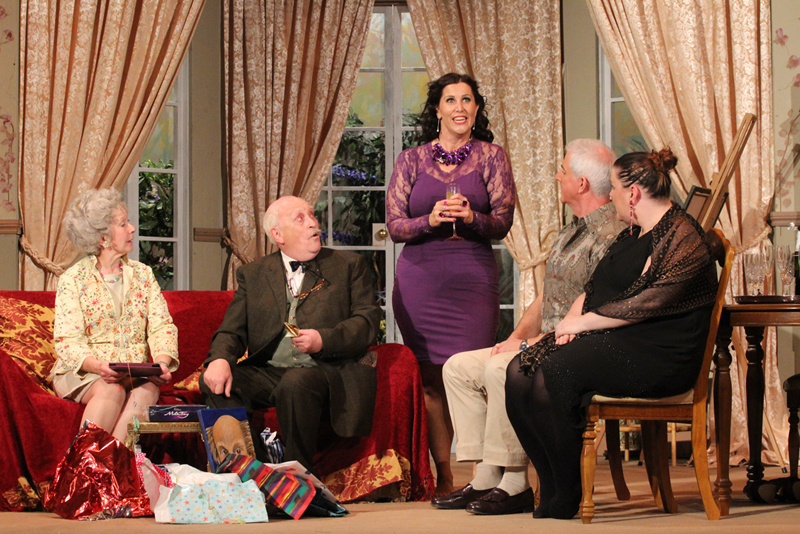 The play previously won the Theatre Show Award 2014 presented by entertainment and lifestyle magazine Voice. 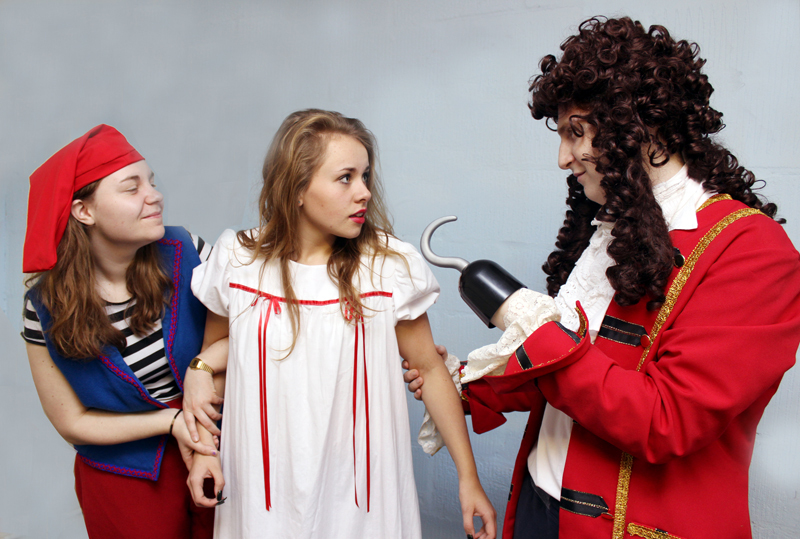 Also among the winners was Alys Rodley of Playgoers’ youth theatre group, Dolman Theatre Works, for her role as Wendy in ‘Peter Pan’. Playgoers New Generation received nominations for best actors and best play for their production of ‘The Canterville Ghost’. The Adjudicator’s Award went to the Dolman Theatre for providing a wonderful venue where so many productions are staged. 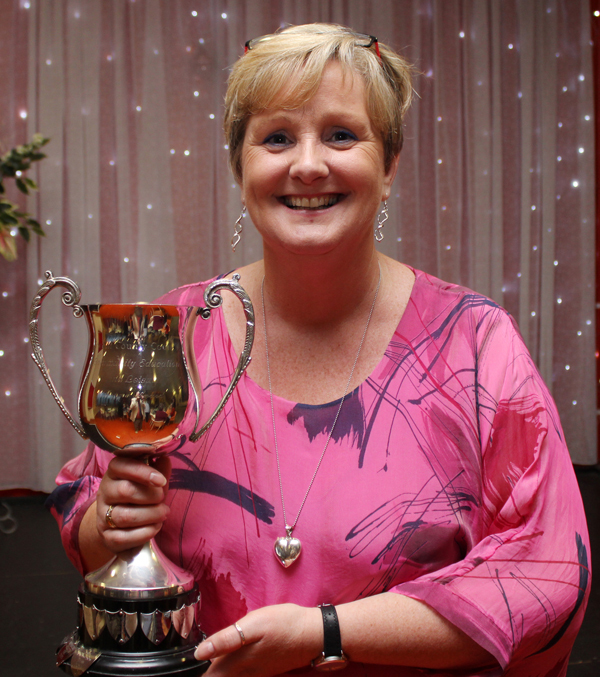 The awards evening, held at the Dolman Theatre was a glittering occasion to which all the local drama and musical societies turned out in force to be entertained with songs from some of many productions, and pick up an array of awards from Gwent Drama League adjudicator Alan Hayes. 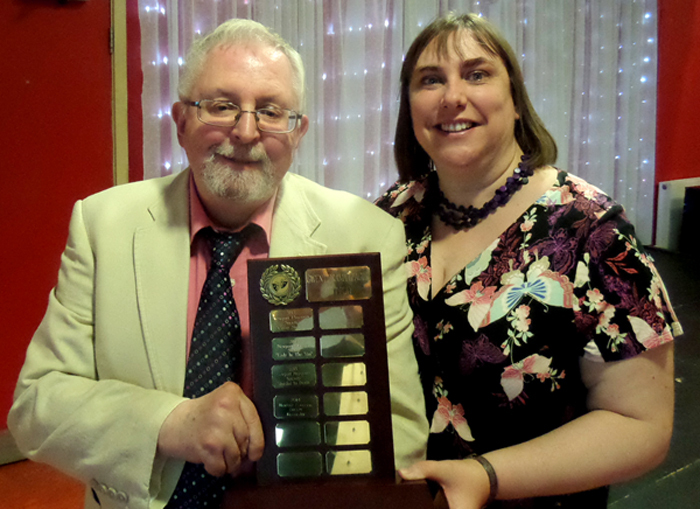 “It was a great evening, made even more special by my play winning this prestigious award,” said Phil Mansell. “Playgoers received nominations in many of the categories and it can’t have been easy for the adjudicator to pick out the best from some amazing productions. It’s been another highly successful season for Playgoers who own and run the city’s 400-seat Dolman Theatre. The society is already looking forward to next season which begins in September with ‘Up Pompeii’ the stage version of the show that Frankie Howerd made such a hit on TV. Other forthcoming attractions include ‘The Ladykillers’, based on the classic Ealing comedy, and the stage version of ‘60s favourite ‘The Graduate’. Playgoers are always seeking new members to work both onstage and behind the scenes to keep the 400-seat Dolman Theatre running. For more information or to book tickets for forthcoming productions call 01633 263670 or visit www.dolmantheatre.co.uk. 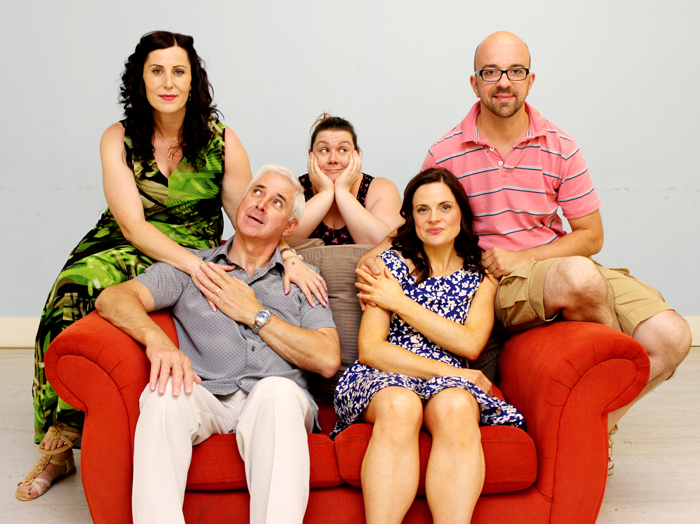 Playgoer’s Season Finale will be Absolute ‘Nunsense’! Newport Playgoers are set to end their 92nd season of plays with an award-winning musical extravaganza that started life as a series of greetings cards. 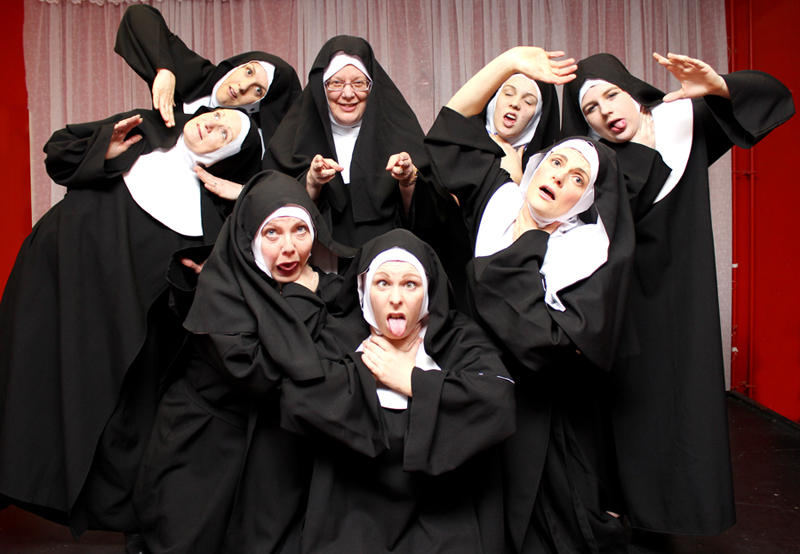 The comic nuns proved so popular that their creator, Dan Goggin, turned them into a cabaret and then expanded that into a full length theatre production. 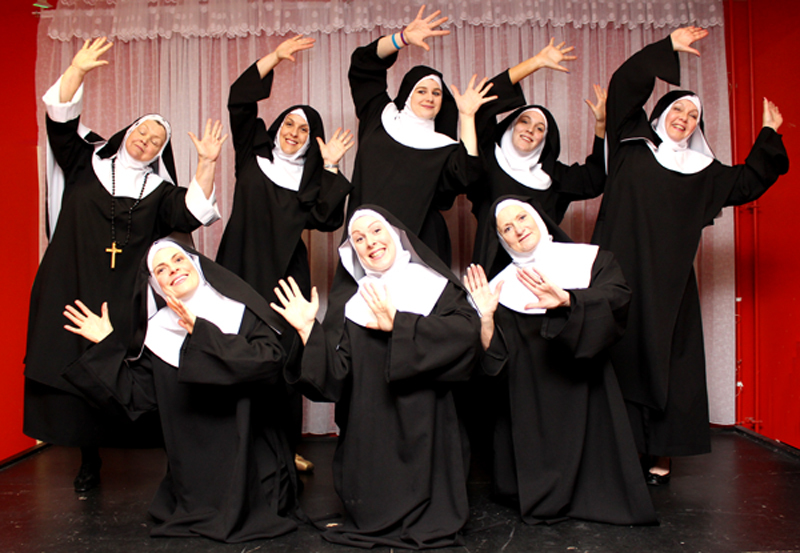 ‘Nunsense’ ran for over 3,500 performances and won the Best Off Broadway Musical award. The musical romp tells of the Little Sisters of Hoboken and their crazy antics after the convent cook serves up some dodgy soup resulting in 52 nuns dying of botulism. Luckily a few of the nuns were busy playing bingo and were spared this terrible fate. But to their horror they realise the convent hasn’t the funds to pay for the funerals. The Mother Superior decides she and her fellow nuns will use the left-over set for a production of ‘Grease’ to stage a variety show packed with hilarious show-stopping song and dance numbers to raise the money for the funerals. There follows a hail of fun and frolics as they try to achieve their aim. The season has been another success for Playgoers who own and run the city’s 400-seat Dolman Theatre. 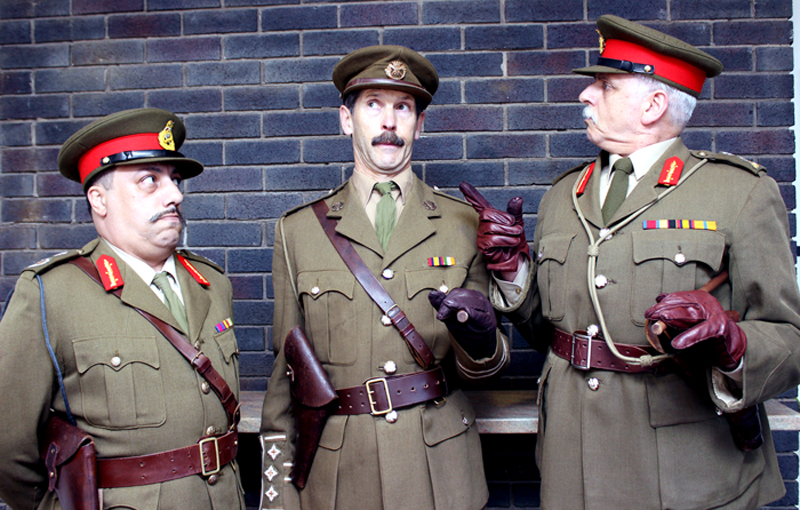 Beginning with ‘According to Claudia’, a play by local writer Phil Mansell, it included the thriller ‘Deathtrap’ and three plays commemorating the First World War including last month’s funny yet thought-provoking ‘Blackadder Goes Forth’. 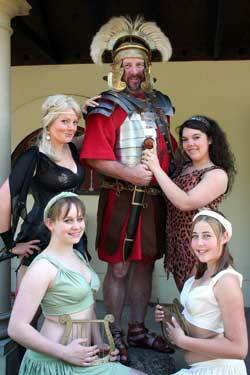 Playgoers are already looking forward to next season which begins in September with ‘Up Pompeii’ the stage version of the show that Frankie Howerd made such a hit on TV. 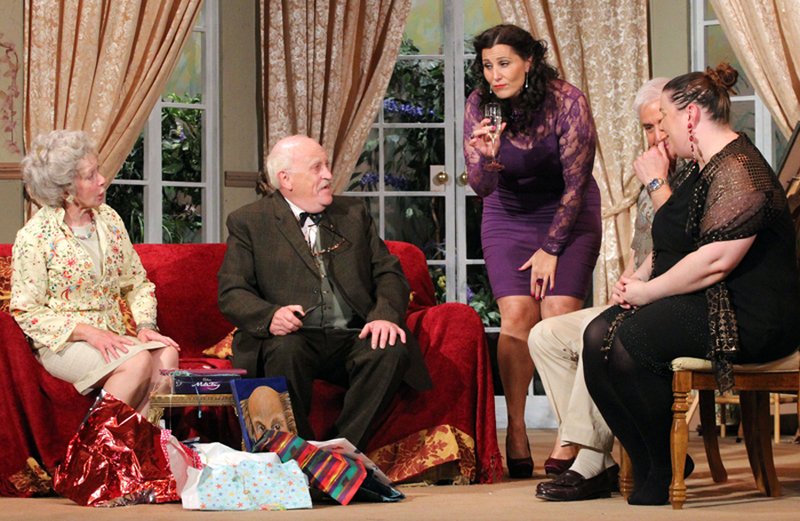 Other forthcoming attractions include ‘The Ladykillers’ based on the classic Ealing comedy and ‘The Graduate’. 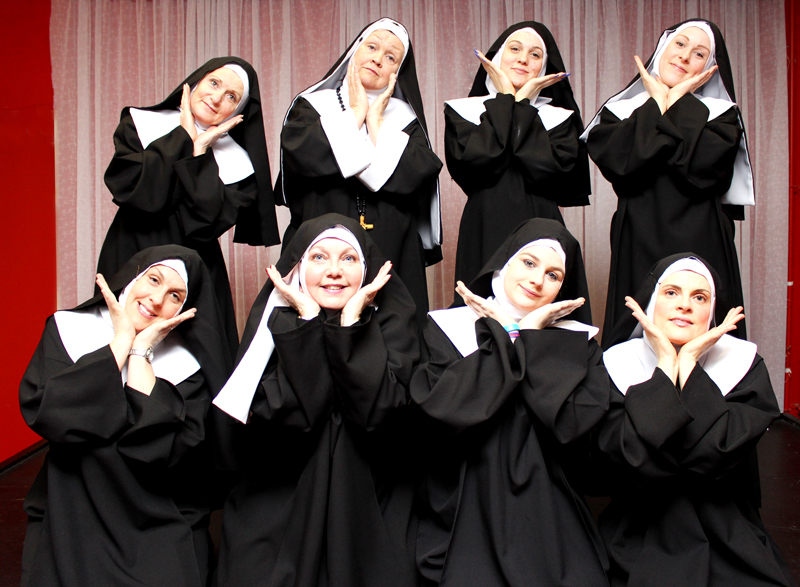 ‘Nunsense is at the Dolman Theatre from 17 – 20 June at 7.15 pm, with a matinee performance on the Saturday at 2.30 pm. For more information or to book tickets call 01633 263670 or visit www.dolmantheatre.co.uk. Following the success of a trial run, Newport Playgoers will be using signing for theatregoers who are deaf or hard of hearing at their next production, ‘Nunsense’ – as well as for at least six of their next season’s productions. The signing will be done by Gaye Hampton from the Sign Language Studies Centre which provides deaf, deaf blind and disability training and consultancy services to both individuals and organisations at their centre in Newport or in-house across the UK. Gaye, who is profoundly deaf herself, is committed to improving communication and access for all deaf, deafblind and disabled people. Gaye has a keen interest in the entertainment world and is working with Claudia Barnes, chairperson of Playgoers’ Artistic committee, to develop a project where the Dolman theatre becomes more accessible to deaf people by provision of an interpreter for some of the productions throughout the year. As well as June’s production of the musical romp ‘Nunsense’, signing will be used at the Thursday evening performance of six of next season’s plays including ‘The Ladykillers’, ‘The Graduate’ and ‘The Haunting’. 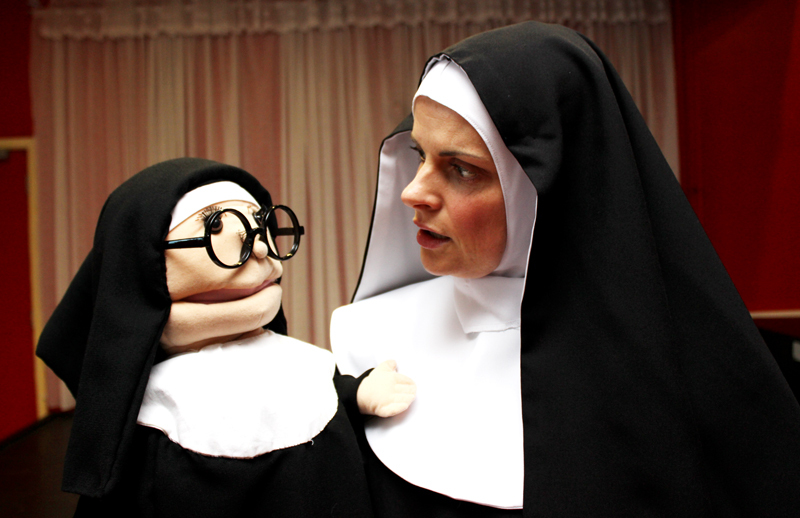 ‘Nunsense’ is at the Dolman Theatre from 17 – 20 June at 7.15 pm, with a matinee performance on the Saturday at 2.30 pm. There will be signing for the deaf and hard of hearing members of the audience at the Saturday night performance. For more information or to book tickets call 01633 263670 or visit www.dolmantheatre.co.uk.